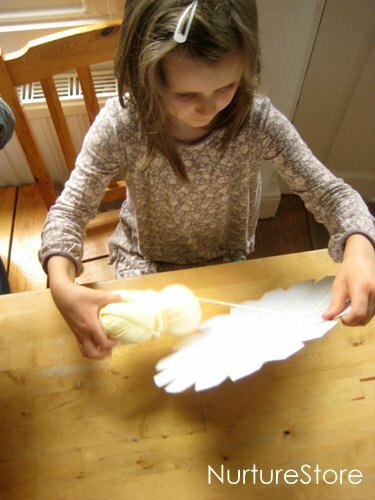 You know when your children make something and there is a buzz in the air because they’re so pleased with what they’ve made? 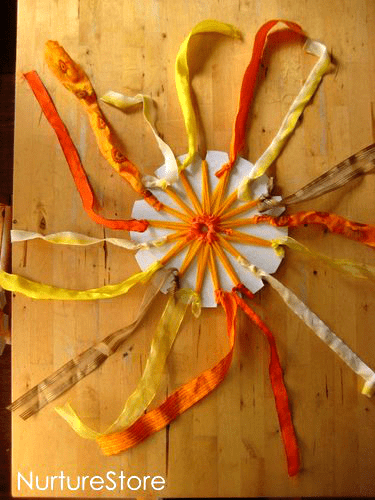 This sun weaving which we made as a solstice crafts was one of those moments. 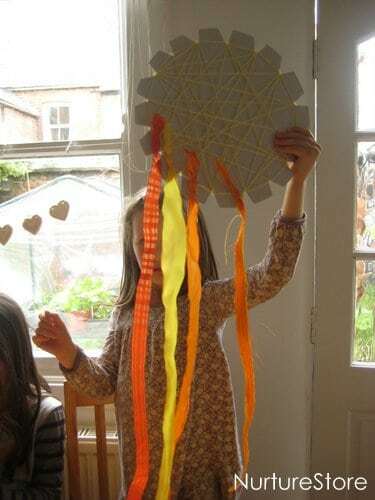 The children loved the whole process and the end result. 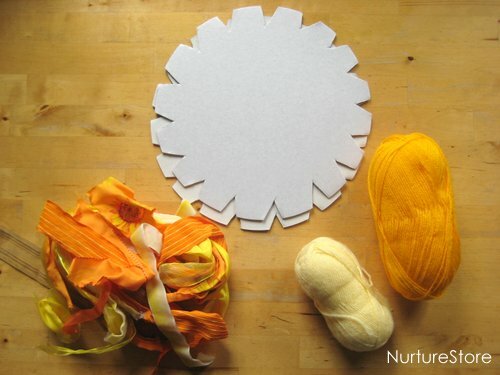 Here’s how we made them. 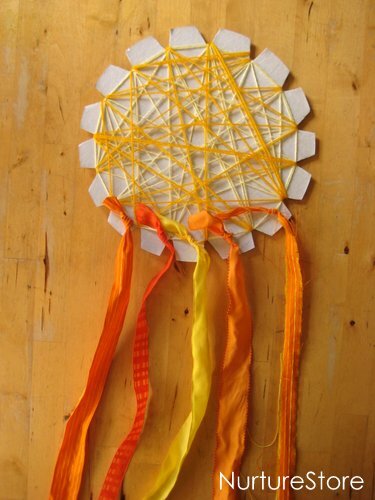 then handed then over to the children along with some ribbon and yarn in yellow, gold and orange colours. A great place to look for ribbon is in the ‘left over’ bin at the craft store. We got all these for just over a £1. 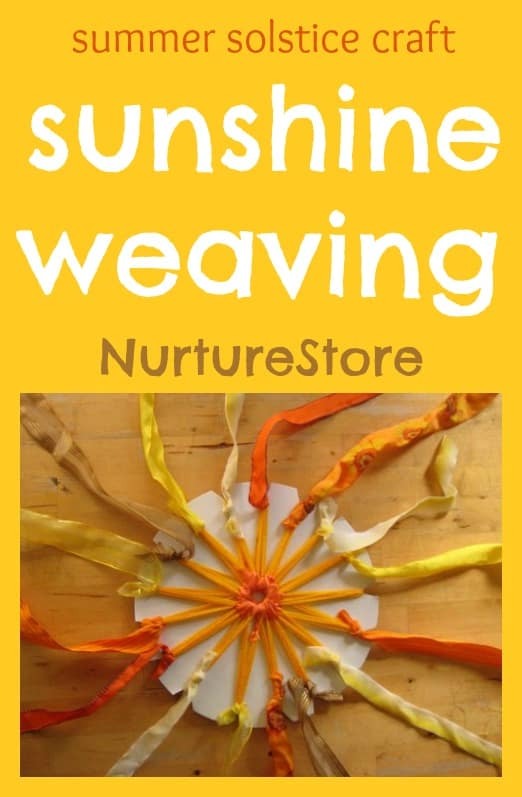 The basic idea of the sun weaving is to use the yarn to make a framework around the cardboard base, and then add in a collage of ribbon to create your sunshine. 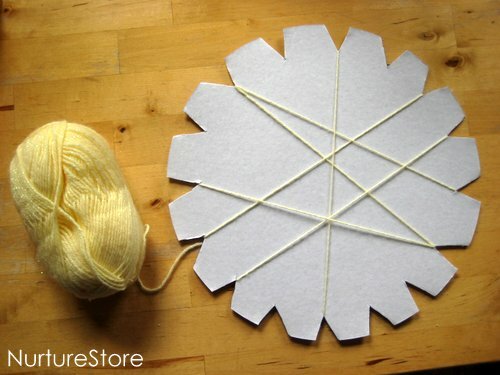 Tie a knot at the back to get you started and then you can wind away. 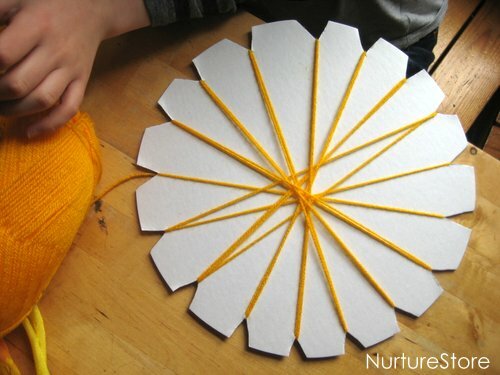 The children found it easy to weave with the yarn all the way round, criss-crossing over however they chose. 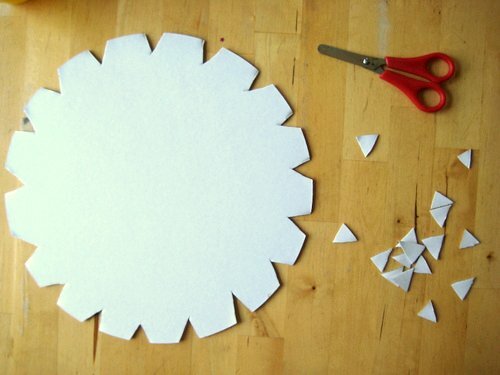 or free-style your way round, perhaps with an edge frame to finish. 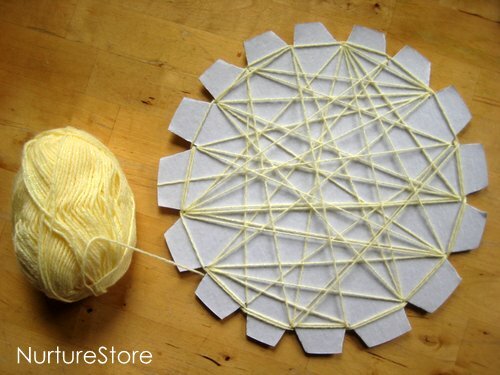 Once you’ve made your web you can weave in more yarn or ribbon – as much or as little as you like. 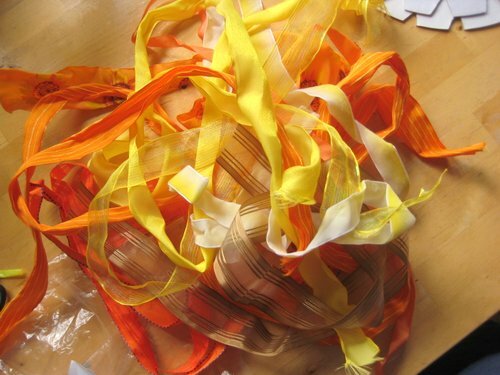 and then went running round the house with their finished sunshines, ribbons streaming! Not at all Faigie. They happily free-styled their way along. Hi Allyson. I currently have The Garden Classroom for sale as a download, and a Play Dough book launching 8th July. More titles will be coming as I get chance to produce them. 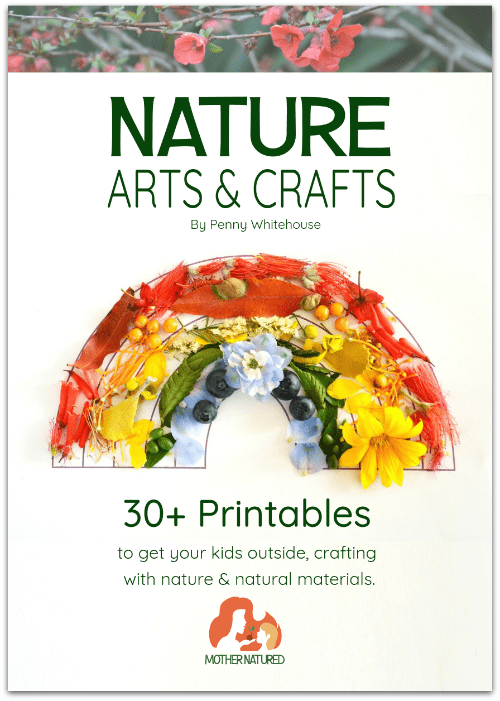 Thanks for your feedback – is it an art/craft book you’re particularly interested in? Just really like this one a lot! I have included this in my Offbeat Holidays – June Bucket List post. Thanks for sharing!